Good news coming from Fred Anton Corvest alias FAC. 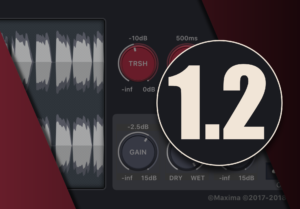 The developer released recently v.1.2 of Maxima, an audio effect app designed to provide automatic gain control of your audio material. 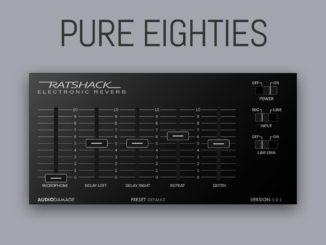 The new version includes good interface improvements, a new preset browser as well as bug fixes. 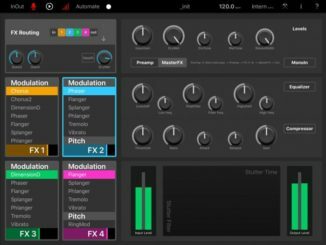 The version 1.2 brings a couple of handy new features to provide an even better user experience. The new release comes with the support of the view configuration management. Bringing, in addition of the classic view, a special brand new larger view with a huge multi-waveform graph for GarageBand. The graph itself has also been improved with log scale definition and colored levels overlay. The input peaks being over 0db, for example, are now drawn now in red. As usual, input signal upfront and processed output behind. Last but not least, the preset manager is now also available and allows you to navigate over factory presets or to create your own in any AUv3 host. Following the classic update process, this version also comes with some minor improvements and bug fixes. 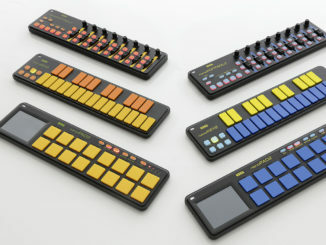 KORG Announced Limited Color Edition Models Of The NanoSeries MIDI Controllers!